If a company is struggling to pay their debt obligations, bankruptcy is always an option; however, it should only be used as a last resort. Bankruptcy is the legal status of an insolvent person or organization whose liabilities far exceed their assets, thus rendering them unable to pay their creditors. Chapter 7 (Liquidation) involves the appointment of a trustee to collect non-exempt assets of the debtor. Once the trustee collects those assets, he sells them and distributes the proceeds to creditors. Chapter 11 (Reorganization) allows the debtor to keep some or all of their assets and use future earnings to pay off creditors. The debtor has to put together a plan to pay back the creditors that must be approved by the court. In a Chapter 7 bankruptcy, a court appointed trustee looks over all financial endeavors of the company, thus the owner loses complete control over his or her company. In a Chapter 11 bankruptcy, a U.S. Trustee monitors and supervises the bankruptcy process to make sure the business debtor is strictly adhering to the bankruptcy plan confirmed by the court. 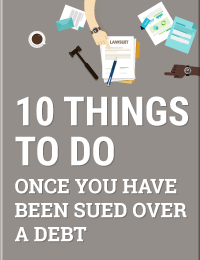 Between filing fees and attorney fees, bankruptcy can be extremely expensive. The bankruptcy process can take years to complete. If a company is struggling to pay their debt obligations, bankruptcy is always an option; however, it should only be used as a last resort. Many creditors are willing to take a reduced payment rather than risk a debtor company filing bankruptcy and possibly receiving nothing. Fuselier and Associates Financial are Certified Commercial Debt Reduction Specialists and can help your company reduce debts to a fraction of the debt owed. We will put negotiated settlements in place that your company can afford. Fuselier is a lot more cost efficient than filing for bankruptcy. Our services can help you regain financial stability, avoid bankruptcy and retake control of your company.